President Medvedev's Interview to "Wall Street Journal"
Russian President Dmitry Medvedev expressed doubts about the future of Europe’s common currency and said the Gulf of Mexico oil spill could threaten the survival of BP PLC. On the eve of his first state visit to the U.S. next week, Mr. Medvedev also questioned whether the Gulf oil spill might lead to the «annihilation» or breakup of BP, as the company faces billions of dollars in losses from the disaster. He stopped short of saying Russia would re-evaluate BP’s lucrative partnership in Russia, which represents almost a quarter of its oil production, but predicted the spill will prompt a fundamental rethinking of oil exploration around the world. Mr. Medvedev, who succeeded Vladimir Putin as president in 2008, voiced optimism that he could continue to widen cooperation between the two superpowers and continue a «dialogue» he has started with U.S. President Barack Obama. On the subject of Iran, Mr. Medvedev expressed concern that additional sanctions imposed by the EU and the U.S. could hurt the people of Iran rather than the government. He also said he was worried that the situation in the strategic central Asia republic of Kyrgyzstan, where ethnic conflict broke out last week, could deteriorate further, warning that a Taliban-style extremist regime could arise in that country. Mr. Medvedev said Russia was closely watching the fallout from «tragic» ethnic violence in southern Kyrgyzstan, where at least 187 people died in attacks that sent 100,000 Uzbeks fleeing into Uzbekistan. He said that wounded had been killed by attackers and ambulances had been burned. In the past, Russia has objected to the U.S. military base in Kyrgyzstan, established in 2001 as a linchpin of its military operation in Afghanistan. «The future of this base is in the hands of the Kyrgyzstan government,» Mr. Medvedev said. The Russian president warned that if Iran developed a nuclear bomb, other countries in the Middle East and North Africa would seek to follow suit. In some of his most pointed comments, he complained that the U.S. and the EU have imposed additional sanctions against Iran, just after Russia backed a carefully negotiated package of United Nations sanctions last week. «A couple of years ago, that would have been impossible,» Mr. Medvedev said of Russia’s support of the U.N. sanctions aimed to deter Iran from building a nuclear bomb. The EU on Thursday adopted new sanctions against Iran, focusing on oil and gas, following U.S. measures on Wednesday targeting banking, shipping and the Revolutionary Guard Corps. Dmitry Medvedev’s relaxed bearing belied his bracing message about the risks he sees for Europe’s common currency, oil giant BP PLC and global security from the Middle East to Central Asia. «Centrifugal» forces could threaten the European Union, while the Gulf of Mexico oil spill might «annihilate» BP, the Russian president said in a wide-ranging interview with The Wall Street Journal. If Iran were to acquire nuclear weapons, «a wave» of other nations in the region would race to follow suit, he said. And in the strategic but strife-torn Central Asian state of Kyrgyzstan, he said signs of stabilization remain extremely fragile. Between meetings with visiting regional leaders at the Konstantinovsky Palace, his official residence here overlooking the Gulf of Finland, the president sat down in a hall painted with satyrs to survey the world. 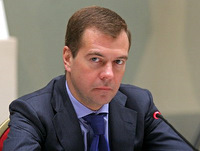 Mr. Medvedev lamented that he has little time to watch soccer matches, including his hometown St. Petersburg team Zenit. When he did make time for a game—the World Cup qualifying match with Slovenia last fall—Russia lost. «There were unpleasant emotions, and even the subsequent conversation with the president of Slovenia didn’t lift my mood,» he said. 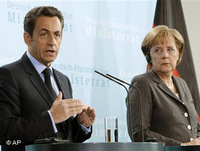 The issue was the subject of «hours» of talks at a recent meeting with German Chancellor Angela Merkel and will be a top item on the agenda in a meeting in St. Petersburg Saturday with French President Nicolas Sarkozy. The whole discussion revolved around the question of ’what are you for—stability or solidarity?’ That’s the division in a series of European countries," he said of the talks with Ms. Merkel. Though he said Europe didn’t need his advice, he advised a «pragmatic» course between the two—not cutting budgets so harshly that it shook economies but also not pumping up spending to destabilizing levels. Implementing the recommendations of other countries or the European Commission, even the smartest ones, is very difficult, especially if thousands of people are out in the streets demanding the dissolution of parliament or the ouster of the government," he said. 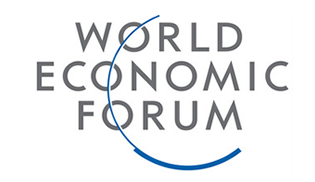 Continent-wide efforts to revive growth depends on how «consistent» the countries with struggling economies are in implementing these austerity policies, Mr. Medvedev said. 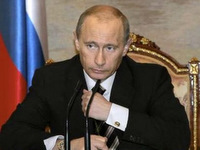 Just over a year ago, Russia itself looked at risk of major economic troubles. But the Kremlin’s massive $200 billion stimulus program—and the recovery in oil and commodity prices—has helped shore up Russia’s economy and narrow its budget deficit. He pointed to rising calls in some European countries to give up the euro as alarming signs of political pressure on the common European idea. The Russian president voiced support for BP, the largest foreign investor in the Russian oil sector, but said it’s too early to assess the damage the company will suffer from the oil spill in the Gulf of Mexico. He laughed nervously when asked what the crisis could mean for Russia’s view of BP as a partner. He called for international efforts to reduce the risks and potentially insure the risks from such accidents, which he said could conceivably be so large as to overwhelm not just individual companies but also countries. With his first state visit to the U.S. set for next week, Mr. Medvedev said he hoped to complement the progress reached in recent months with Washington on security issues like nuclear-arms reduction with new steps to boost languishing economic ties. He spoke excitedly of the first leg of his trip, which will take him on his first visit to California, he said. There, he said he will seek lessons from Silicon Valley for his own efforts to set up a special high-technology enclave outside Moscow. He singled out the many Russian-born specialists now in Silicon Valley. Among the most prominent is Google Inc. founder Sergei Brin. Mr. Medvedev took a more jaded tone about the Washington stop. He welcomed U.S. support for Russia’s bid to join the World Trade Organization but added tartly that «the ball is in the U.S. court. «We’ve been led around by the nose for a long time,» he said, referring to Russia’s 16-year bid to join the trade bloc. Other countries «whose economies couldn’t be called market-based» have already been admitted, he added. On foreign policy, too, there were signs of tension. Mr. Medvedev complained that the U.S. military base in Kyrgyzstan—a key transit point for supplies for the Afghan war—shouldn’t be viewed as a permanent installation. «That’s a question for discussion,» he said. Mr. Medvedev said he couldn’t predict how events would unfold in North Korea. He said Russian specialists are doing their own investigation of the sinking of a South Korean naval boat, which killed 46 soldiers. He praised his «Chinese partners» for continuing to maintain ties with the reclusive regime. «Despite the difficulties of communicating with North Korea, they can’t be backed into a corner and make the situation so tense that it prompts some kind of inappropriate action,» said Mr. Medvedev.